Have you ever FELT the power of Anticipation – Would you agree, that anticipation of future realities dramatically affect the way we LIVE TODAY? That is exactly what Peter is saying in 1 Peter 1:3-5. Open with me if you will to 1 peter 1:3-5. If you embrace this FUTURE REALITY; OWN that it is yours, it is going to change the way you live today. Trials that have bothered you, relationships that have been strained, thinking that’s been burdened and feelings that are fearful …will CHANGE, if you OWN God’s future REALITY for you. 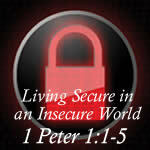 Peter says, God’s future realities change the way we live today. You know PETER – a fisherman who probably followed John the Baptist until Andrew his brother introduced him to Jesus. I identify with Peter since he spoke first and thought later. He revved his mouth without his brain being in gear my kind of guy. He was a natural leader whose name was changed from Simon to Peter, meaning the ROCK, because of what God had in mind for him. Peter was the ice breaker; the spokesperson for the disciples, the very first Christian preacher, whose first SERMON resulted in the conversion of thousands. 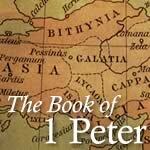 Peter was an apostle who traveled the known world, preaching the gospel and teaching the Word. And Peter was so faithful, tradition tells us he watched his wife be crucified in front of him. THEN as they were nailing him to a cross, he begged to be crucified upside down because he thought himself not worthy to be crucified the same way Jesus was. Prior to his death he wrote two letters, 1 Peter was a circular letter sent to 5 cities of Asia Minor, modern Turkey today, to a group of believers who had been sent there by Rome as a punishment, to get rid of these believers who would try to convert Roman citizens, have public gatherings and condemn Roman morality; in other words, they were CHRISTIANS! They had lost their jobs, were disdained by the Jews and rejected by the gentiles – because these believers followed a crucified and risen Messiah and they needed some HOPE today! To encourage them, Peter motivates them by describing future certainties. Peter gives them HOPE meant to affect daily behavior. And it will CHANGE US TOO, if we EMBRACE these truths. If you want to live secure in an insecure world, you have to LIVE TODAY in the reality of what God intends to do in our future. Peter calls us right off to verbally brag about the Triune God, because He is our Creator and our heavenly Father, and our true Master, and the King over all; Jesus Christ. God has given us MERCY–mercy is not giving us what we do deserve. Grace is giving us what we don’t deserve. Mercy is NOT giving us what we do deserve. And we will want to bless God because He has shown us great mercy IF we understand how damnable we are, how undeserving of mercy we are, how sinful we are, how proud, independent, selfish, lustful, we really are. We really ought to be in hell FOREVER. And under the extreme weight of His many mercies, those mercies that kept God from justly punishing us for our sins. He caused us to be BORN AGAIN, to regenerate us, to awaken us from the dead and give us a brand new life. Peter wants his readers and us to be overwhelmed with thanks – even in the worst of times, because …we are the objects of God’s mercy. NO matter what you are going through, as a true Christian, when you are asked, “HOW ARE YOU DOING?” on your worst day, you can and should say, BETTER THAN I DESERVE. Brothers and sisters in Christ – think about it…Any day you are not in Hell, is a pretty good day – AMEN? What do you look forward to; what can’t you wait for? What you anticipate in the future, alters the way you act now! Compare going to the DENTIST, with going to DISNEYLAND…When I start thinking about going to the dentist, I live in DREAD. I start brushing my teeth more and flossing twice a day – I will brush with baking soda. THEN as the day gets close, to prepare myself, I hit myself with nail filled boards…. WHY? Because most dentists are liars – they say, this won’t hurt a bit – Listen, when a dentist says, this won’t hurt a bit, BUCKEL UP FRIENDS, cause PAIN is on the way! The best dentist visit is the one where they put you to sleep but even then you wake up with a drooling face and pained mouth. Compare that to anticipating going to DISNEYLAND; Fun, rides, food, people, beautiful grounds, flowers, trees – a happy time. Dentist in the future makes you dread today. Disneyland in the future makes you happy today. Going to CLASS is DREAD, going to the BEACH is JOY. This is why students cut classes parents! Paying the BILLS is DREAD, spending your CHECK is JOY. The same word imperishable is used to describe God twice in the New Testament. Romans 1:23 and exchanged the glory of the incorruptible God for an image in the form of corruptible man …1 Timothy 1:17 Now to the King eternal, immortal, invisible, the only God, be honor and glory forever and ever. Amen. God is imperishable; God can never die; God can never perish. Jonathan Edwards – Where is Jesus, my never-failing friend? Look at the word UNDEFILED, it cannot be spoiled by sin. 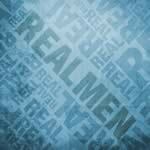 Sin cannot rob a believer of the reality of heaven because Heaven is NOT based upon your sinlessness. Heaven is not based on your good works, or your righteousness. BUT it IS based upon Christ’s righteousness therefore sin cannot steal it. The ROOT of the word undefiled is to STAIN – to DEFILE. Your inheritance can’t be ruined, stained or defiled. That’s security. If you are God’s true child, nothing you do or don’t do is going to change the fact that you have been made white and are ready for heaven now and will be the moment you rapture or die. Now, the New Testament would clarify, as long as you follow Christ from a willing heart that wants to obey, you can be assured you’re secure. 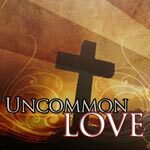 If you stop following Christ and manifest an unwilling heart that doesn’t want to obey, you will lose that assurance. Eventually God will spank you and get you back on course, or it will become obvious in your not being spanked, you are not God’s child. BUT those who’re genuinely His, have a certain future in heaven, their inheritance is secure, because its SIN proof. Peter says and will not fade away reserved in heaven for you. Your inheritance has no expiration date on it. The MILK in our fridge is constantly going bad…. but God’s promise of future blessing in heaven that will not expire. The word for unfading is used only here in the New Testament but is used in Greek LIT to describe FLOWERS that WILT – they eventually die. Peter uses this word to paint a vivid picture – every living thing in this life eventually fades, wilts and dies BUT your inheritance will NOT, not heaven, nor your future with Christ…It is FOREVER – time cannot cause it to fade away…And don’t you LOVE that next phrase in verse 4…reserved in heaven for you. The word reserved is also translated in the New Testament as guarded, kept, maintained and protected. There is nothing like having something reserved for you…Going to a concert and having 8th row center reserved is sweet. No ticket master; no line waiting; no rush to find a seat; reserved. Arriving at the airport and having a driver with a sign CC Mueller. Gathering with a group at a restaurant and having the POPE room all ready for you – not waiting … that is sweet – But nothing is sweeter than having a RESERVATION in HEAVEN. In My Father’s house [in heaven] are many dwelling places; and I HAVE ONE WITH YOUR NAME ON THE DOOR – RESERVED FOR Chris Charles Mueller. Reserved is in the PASSIVE voice; GOD reserves heaven for you. He did it and nobody can stop Him – the same word reserved is used in John 17:12 Jesus prays to the father, While I was with them, I was KEEPING them in Thy name which Thou hast given Me; and I guarded them, and not one of them perished … God personally reserves heaven for those who trust in Christ alone for the forgiveness of sin. Two CRUCIAL questions are raised by this truth, ask yourself…QUESTION ONE: Do you have a RESERVATION? Have you heard the latest statistic? Did you read about it? The current death rate of people in our region… is 100%. A quarter of a million people die worldwide every single day. Every 3 seconds, people on this planet FACE God in eternity. Very soon, you will face God in eternity – very soon, you will die. And the vast majority will end up in the punishment of Hell forever; pagans, secular city folk, religious and Christian church attendees. The only ones who end up in heaven are THE BORN AGAIN. The front desk of the Father’s house will ask: Do you have a reservation? QUESTION TWO: Do you KNOW where you are headed? Imagine getting picked to be on the NASA team to go to Mars. The rockets left the pad, you’ve left orbit; headed to the red planet and one of your team members asks you, “so what do you know about Mars?” and you say “NOTHING.” That would be crazy and dangerous! But no more crazy and no more dangerous than any Christian who doesn’t know as much as we can from scripture about HEAVEN. Where YOU are going to be but ONLY if you LIVE for CHRIST NOW. The bible describes heaven in terms that are a lot like life here yet without sin, disease, death, sorrow or tears. The Bible paints a picture of absolute JOY, PEACE and LOVE – though it doesn’t seem possible, but every day in heaven will be better than the previous. There will be no routine, boredom or monotony. EVERYTHING that is good in this life and ANYTHING we derive great pleasure from here will be a thousand times better in heaven. All the sweetest moments of fellowship, praise, study, and joy inexpressible here is only the smell of thanksgiving dinner. But HEAVEN is when we sit down to EAT what we’ve only smelled here. Heaven will be all the best of this life with the wonders of God’s presence immersing every moment and every event. You need to READ Randy Alcorn’s book called HEAVEN or In light of Eternity and start obeying Colossians 3:1-2 tells us to do 1 If then you have been raised up with Christ, keep seeking the things above, where Christ is, seated at the right hand of God.2 Set your mind on the things above, not on the things that are on earth. Don’t try to make this world your heaven – some of you are – sad this world is garbage, refuse and vomit – compared to heaven. Imagine focusing your entire life on garbage, refuse and vomit: waste – it’s SAD! 4 will not fade away, reserved in heaven for you, 5 who are protected by the power of God through faith for a salvation ready to be revealed in the last time. Notice the word protected, it means guarded or held captive; it’s a military term describing protection from enemies, telling us God will GUARD our souls through faith. Now, this doesn’t mean if your faith is weak you’re NOT going to make it. But God extends to you assurance through your faith. As you trust Him, you will be assured and secure… And Peter says this is the Faith into salvation and the Faith as you live your salvation. Faith is dependence upon what you can’t see – depend on your salvation, lean on the fact you’ve been delivered by God every single day. Don’t panic when things go bad, when hurts occur, or in suffering even if you’ve been sent away to a foreign land by your government. Being a Christian is not merely doing Christian things, it is a heart that desires to please Christ 24/7. It is wanting to please Him, desiring to do great things for Him, wanting His smile more than anything, living in the reality of His soon return and walking in the reality of His constant presence. * If you do know Him, then its FULL surrender of everything; your spouse, your children, your future, your looks, your friends, your school, your work, your possessions, your free time. When He purchased you by His blood, He owns all of you not just Sunday. Does He have it – are you willing – talk to Him now!